An efficient water heater is what you require, to save your time and fulfil your need simultaneously. 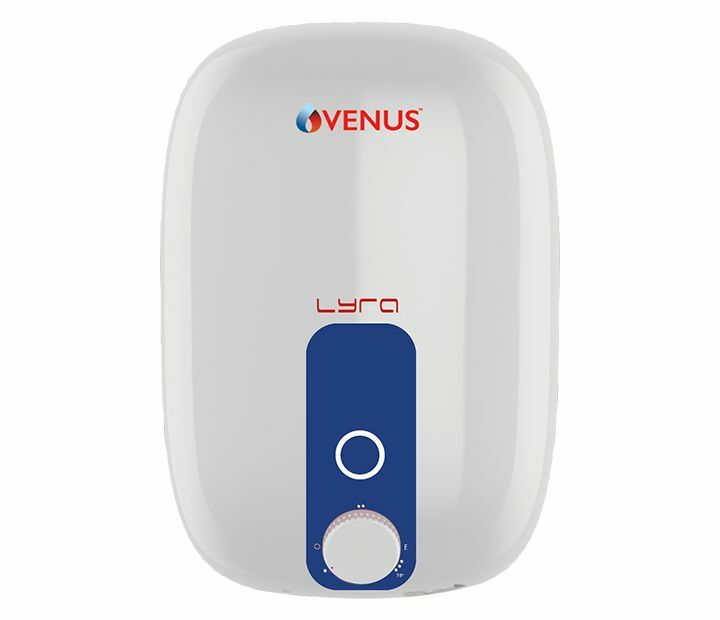 The Venus 15 L Storage Water Heater is a perfect water heater. It has capacity of 15 litres water and doesn't make you wait for the water to get heated. The Porcelain Enamel Glass Lined Tank of this heater is robust and durable. It is equipped with thick Polyurethane Foam (PUF) Insulation and also has protection against hard water. The heater has been given 5 star rating. It comes with 7 Years warranty on Inner Tank, 3 Years on Heating Element and 2 Years on product. ..